The training center of Uzbekistan Airways has purchased a full flight simulator (FFS) of a wide-body Boeing 767. The contract amount has not been disclosed. According to the FFS manufacturer, the Canadian company CAE, pilot training on this simulator will start in November 2016. The Uzbekistan Airways training center will not only provide training for pilots of the airline, but will also offer its services to foreign carriers’ flight personnel. At present, the Uzbekistan Airways simulator complex makes use of procedural trainers of narrow-body Boeing 757 and wide-body Boeing 767, and a full-flight simulator of narrow-body Airbus А320 (all manufactured by CAE). Besides this, the world’s only full flight simulator for Ilyushin Il-114-100 type training is also located in Uzbekistan. As reported before, Uzbekistan Airways airline needed to purchase Boeing 757 and Boeing 767 full flight simulators to be able to launch a certified training & professional development center for pilots from Central Asia, established with the participation of the International Air Transport Association (IATA). Purchase of the required simulators was slated for mid-2016, the same year for which the center’s inauguration has been planned. Procurement of simulators for all mentioned types will enable the process of pilot training to be transferred from Russia to Uzbekistan. 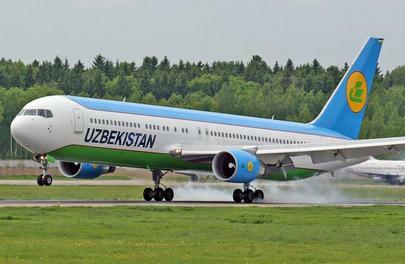 Today, the Uzbekistan Airways fleet includes Boeing 757/767s, A320s and Ilyushin Il-114s. At the same time, the airline is developing its own classroom training program in cooperation with the Uzbek Ministry of Higher Education and Tashkent State Technical University, which is expected to be completed in 2017.